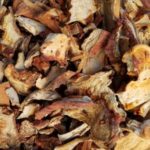 Dried Wild Mushroom Mix – 4 oz. 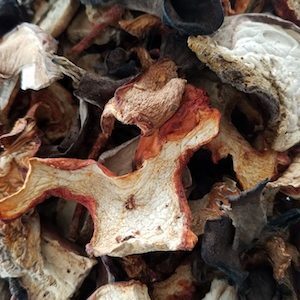 4 oz pack of dried wild mushroom mix from the Pacific Northwest. Dried mushrooms store well and are a great addition to soups, sauces, gravies and stews. One of our favorite ways to use dried mushrooms is to powder them in a blender, or food processor, and add to sauces, scrambled eggs, and homemade bread. Another delicious way to enjoy dehydrated mushrooms is to rehydrate them. To re-hydrate, rinse mushrooms well, simmer or soak for 10-30 minutes in chicken stock, water, or broth, drain & thinly slice, add them to your favorite dish, and enjoy! Dried Lobster Mushrooms – 4 oz. 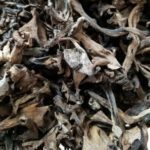 Dried Black Trumpet Mushrooms – 2 oz. 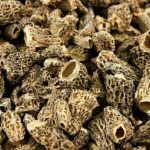 Dried Morel – 4 oz. Dried Lobster Mushrooms – 2 oz. Copyright © 2019 Adam’s Mushrooms. Powered by WordPress. Theme: Spacious by ThemeGrill.